The Alexandria Police Department is reporting that two young men have been charged with 4 different robberies from person in Arlandria in the last 3 weeks (see end of post for report). At least two of them were armed robberies. One thing not included in the article is that the initial arrest was made when one of the suspects was called in for attempting to break into a car on Dale St. The police showed up after the suspect broke into one car and removed several items, and then attempted to break into a second car. It turns out, he was wanted for armed robbery for one of the four robberies listed. Through skilled interrogation, the Alexandria Police got the suspect to admit to the other three robberies and give up his accomplice in the robberies. The Grand Larceny charge for those thefts is minor in comparison to the armed robberies, so it is understandably absent from the charges. The point here is, always call the police. At monthly citizens association meetings, Hume Springs and Lynhaven Community Support Officer Nick Ruggiero often tells everyone, "The residents are our eyes and ears for the community." He encourages us to call in even for seemingly minor problems because the police are experienced in handling various situations and determining what might be an issue. Perhaps you see someone you don't recognize hanging out on a park bench while kids play nearby. If it makes you feel uneasy, call the non-emergency line (703-838-4444) and let the police determine if there might be a threat. You'll feel a lot less guilty that you were wrongly suspicious of someone than you would if something actually happens. Not to mention, the police often catch wanted criminals when they are stopped for unrelated minor offenses. With a quick 3-minute phone-call, the police show up and observe the scene. You might allow the police to catch someone that has been robbing area residents at knife-point. That person might turn in an accomplice to save their own tail, and now 2 violent criminals are behind bars. Or, the Police might determine nothing is amiss--but it only took you 3 minutes to call. Our community will only shake off its old reputation of crime infestation if we continue to get the criminals off the streets. Alexandria Police Detectives have charged two men with multiple counts of Robbery after a thorough investigation into several robberies that occurred over the last month. 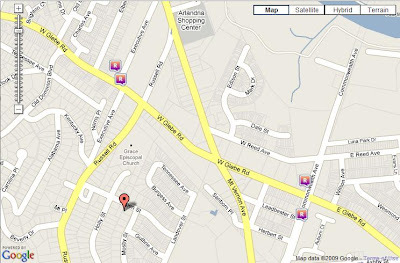 The first robbery occurred on October 27, at 7:20 p.m., in the area of West Glebe Road. The suspect approached the victim, implied he had a weapon and demanded her jacket. The suspect was not able to wrestle the jacket from the victim and ran off. 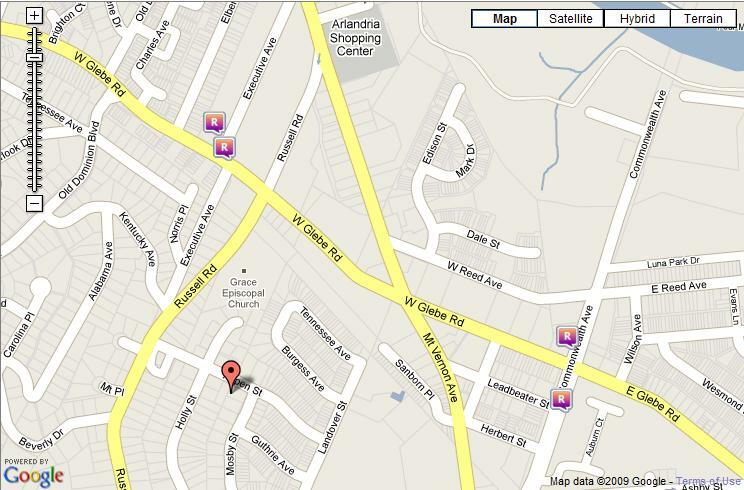 The second robbery occurred on November 2, at 5:15 a.m., in the 3800 block of Executive Avenue. The suspect approached the victim from behind, grabbed her purse, removed her cell phone and fled the area on foot. In the third robbery, two suspects approached the victim on November 6, at 9:50 p.m., in the 3800 block of Executive Avenue. The first suspect grabbed the victim around the neck, displayed a knife and demanded money. The victim relinquished an undisclosed amount of money and a cell phone. 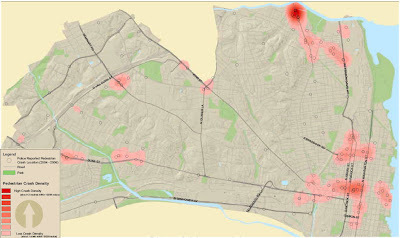 The fourth robbery occurred at the intersection of Leadbetter Street and Commonwealth Avenue at 8:10 p.m on November 10. The suspect approached the victim and grabbed her purse. After a struggle, he was able to get the purse away from the victim and fled the area. In all the cases, the victims were not injured. Following an intensive investigation, detectives charged Juan M. Benitez, 18, of the 3900 block of Bruce Street, with four counts of robbery and Gustavo Adolfo Ruiz Hernandez, 21, of the 600 block of Notabene Street, with one count of robbery. Both Benitez and Ruiz Hernandez are being held at the Alexandria Adult Detention Center without bond. Update: Time of event is 7pm, not 6:30. There were two different times listed in various places. I double-checked this with NVSC. Streetcars, aka trams, are a hot topic in the news recently. They helped form the communities that we now think of as some of the most livable, walkable areas in the Washington, DC area. Some 70 years ago, they fell out of fashion through very questionable actions by the automobile, electrical, and oil industries. It seems they are coming back to the area, so why not here? The Columbia Pike streetcar project is moving along. Alexandria, Arlington, and parts of Fairfax county make perfect sense as future phases of an eventual Northern Virginia streetcar network. The newly formed Northern Virginia Streetcar Coalition (NVSC) wants to build momentum for this resurgent form of transit that can get you from Metro or VRE to your doorstep (facebook group). NVSC is holding a kickoff meeting this Wednesday, Nov 18 @ 7pm in Room 158 of Northern Virginia Community College's Bisdorf Building (map). Speakers will include Chris Zimmerman from the Arlington County Board and Stewart Schwartz, the Executive Director of the Coalition for Smarter Growth. To whet your appetite and catch you up a bit, here is a roundup of recent news and information about streetcars. You can also find lots of links on NVSC's facebook group page, linked above. What is a streetcar vs. light rail vs. bus rapid transit? Here's a discussion on the Greater Greater Washington blog about the benefits of different modes. Also, here's the Wikipedia entry on Light Rail, which contains a comparison between various transit forms, and the Wikipedia entry on streetcars. 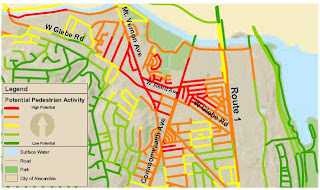 Here's a link to Alexandria's Comprehensive Transportation Master Plan. Section One includes mention of Light Rail, Street Car, or Bus Rapid Transit as eventual forms of transit for the 3 identified transit corridors. DC recently released the most comprehensive streetcar plan in the area (BeyondDC). Done right, streetcars induce mixed-use “transit-oriented development” that accommodates growth while enhancing livability and reducing pollution and greenhouse gas emissions. Streetcars can promote street life, define neighborhoods, reinforce retail, and fit easily into built environments with little disruption to existing businesses, residents and traffic. They help create places where people want to be. So if you'd like to get involved with this group, just show up November 18th. You can RSVP to NOVAStreetcar@aol.com, though nothing says an RSVP is required. The strategic planning process is an effort by City Council to move the City forward in realizing the goals of our community. It also offers another venue for stakeholders in the North End neighborhoods in the Arlandria area to voice their opinion about the priorities that are important to them. Goal #1 of the City's strategic plan states: "There is Quality Development and Redevelopment, Support for Local Businesses, and a Strong, Diverse, and Growing Local Economy. But as Nick's earlier post suggested, this goal for Alexandria may not be a priority for Council when it comes to Arlandria. City Council Members Paul Smedberg & Kerry Donley have been lead a series of meetings on this topic and have been soliciting input from citizens. Video from the October 22 meeting, for instance, is here along with tweets summarizing the comments made here. The next meeting in the series is Wednesday, November 4th at 7 p.m. in Room 2000 at City Hall. Please offer your comments about Arlandria's place in Alexandria's strategic goals. Active copy of the Implementation Schedule – Last Update 2006?! On Oct 13th, City Council discussed (and deferred action on) the creation of an Arlandria Action Plan Advisory Group (AAPAG). As proposed, the AAPAG would be charged with, among other things, helping decide how to spend the $500K of Capital Improvement Planning funds that are allocated for Arlandria Streetscape revitalization (more on $500K in CIP here). It would also keep the City on task with actually implementing the vision of the 2003 Arlandria Plan. The AAPAG would be comprised of representatives from Arlandria and the North End neighborhoods: businesses, service organizations, civic associations, etc. The City's Department of Planning and Zoning (P&Z) estimates the need for about 300 hours of their staff time to help facilitate the meetings. Here is the full resolution as it appeared on the docket: (small PDF). Vice Mayor Donley is worried that Arlandria area stakeholders might ask for money if given an official voice. But, as Councilman Krupicka rightly stated, the entire reason the group is being formed is to jump-start the long stalled plan, and, in the current fiscal climate, to figure out how to do more with less. Community organizing, volunteerism, and policy changes could go a long way towards making the community better for current residents and businesses and more appealing for redevelopment. There is energy in the community towards improving things, even if it means chasing down donations from garden centers, mentoring an area youth, or just fighting to clear a perceived zoning hurdle. These actions all make a difference and are virtually free to the City, and are things neighbors have demonstrated the willingness and ability to do. Then there's the little issue of spending the $500K in CIP in a way that maximizes its impact. And quite frankly, who cares if we do request funding for a project that Council may not have known about? Isn't it the job of Council to determine priorities? If we get out the pitchforks and march down to City Hall, they can still say, "No, these other projects are more important." They should not preclude us from asking and fighting for every scrap we can get. The North End neighborhoods in the Arlandria area have been largely ignored by the City for years, and now the mere idea of spending 300 hours of staff time causes Vice Mayor Donley, Councilwoman Hughes, and Mayor Euille to balk about needing the staff resources elsewhere. Assuming that P&Z employs roughly 45 people (at about 2,000 hours per person per year), that means 300 hours equates to 0.33% of available P&Z staff time. 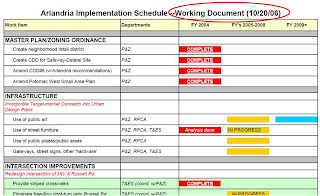 Implementation of the Arlandria Plan was listed as one of the top priorities for P&Z staff time this fiscal year by last City Council (#5 on the list). Do some new members of Council want to retroactively change any other established decisions? Or have they just not retained information about the City's forgotten neighborhoods on the North End? When Donley and Hughes talk of other priorities, they seemingly haven't read the list of P&Z priorities for this year. I've asked people to e-mail the Mayor and City Council before about issues that affect neighborhoods near us. This time, though, an e-mail to the Mayor and City Council will affect our ability to have a say. P&Z isn't suggesting 300 hours towards this project because they have so much time to throw around. Those 300 hours are needed to let staff help the AAPAG understand the costs of various projects, administer the group, and research and answer questions about City ordinances, policies and available incentives. City Council must enthusiastically retain the commitment to 300 hours of staff time for AAPAG... if for no other reason than just to show they understand Alexandria is bigger than Old Town and Del Ray. There is a tremendous opportunity to revitalize a community. Please ask for the support of the whole Council. If you live, work, or do business in the City of Alexandria, you are invited to speak at a public forum about the City of Alexandria's strategic goals for development, redevelopment and economic vitality. The forum will be held Thursday, October 22, 7pm at City Hall in Council Chambers. Community input is important to the City's current Strategic Plan review and will help shape implementation moving forward. Vice Mayor Kerry Donley and Council Member Paul Smedberg will lead the discussion on this strategic goal: There is Quality Development and Redevelopment, Support for Local Businesses, and a Strong, Diverse, and Growing Local Economy. Individuals who wish to comment at the public forum are asked to sign up in advance and limit their comments to three minutes. Sign up in advance by calling Brandi Collins, Urban Planner, at 703-746-3854, or email brandi.collins@alexandriava.gov. 1. What should the City's top three development and economic development priorities be? 2. How should the City measure success as we work on those priorities? 3. What constraints should be placed on development and economic development? Residents can also submit their comments online at www.alexandriava.gov/StrategicPlanning. For more information, please call Brandi Collins, Urban Planner, at 703-746-3854, or email brandi.collins@alexandriava.gov or visit www.alexandriava.gov/StrategicPlanning. at our Lights On Afterschool event! afterschool programs nationwide, in celebrating our afterschool programs. experiences working with Community Lodgings' youth afterschool program. 703-549-4407 or respond to this email. charities in the Greater Washington region." I've heard all sorts of ideas about various transit proposals for Arlandria: monorail, hovercraft, bullet trains, passenger ferry. We'll talk about some of them in the weeks to come. But here's a discussion about bringing back the railroad to the neighborhood. What would it take? Here's part of the discussion. Last week, Spencer Lepler called for reactivating the Washington & Old Dominion rail line, currently used as a hiker/biker trail. 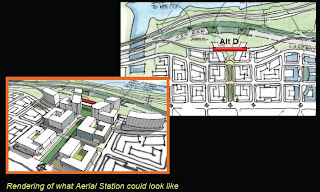 He posits that the W&OD would make an excellent airport-express-type link between Dulles and downtown Washington. He also argues that it would be an excellent addition to our commuter rail system, ferrying Loudounites to their center-city jobs. Is it physically possible to restore some rail service on the W&OD? This new mixed use building by the folks at Maginniss + del Ninno in the Mount Vernon Avenue area of Alexandria, looks like it is going to fit right into the neighborhood. The design will be LEED Gold rated with the exterior utilizing phenolic panels having recycled content, using "rainscreen" technology. In addition to reclaiming a former automobile service station site, the building will feature low impact urban site development, day lighting, and a "farmable" vegetated roof. It is scheduled for completion in the Winter of 2010. We hope they keep the colors in the final build. 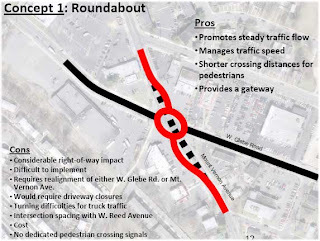 The City followed up on a March meeting about intersection improvements at the intersections of W Reed Ave and W Glebe Rd with Mt. Vernon Ave on Wednesday, Sep 23. Neighbors and a business owner or two were on hand for a presentation to review the preliminary design work of Kimley-Horn and Associates, Inc. Four alternatives were presented. 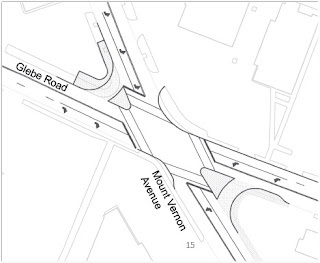 First, here's a little background from the 2008 Pedestrian and Bike Mobility Plan to get an idea of why this intersection is at issue. There are traffic and aesthetic issues, as well, but let me outline some of the safety concerns. 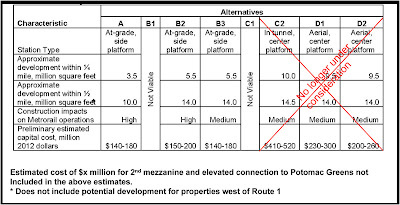 The first graphic, below, shows the intersections in question had medium crash density compared to similar sites, city-wide. The only high crash density in the city was just North between Russell Rd and Four Mile Run on Mt. Vernon Ave. I suppose work to resolve those issues will fall to a future effort. 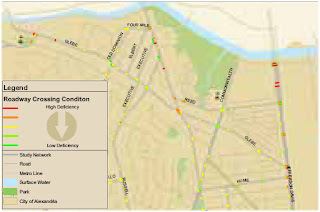 This second chart identifies these intersections as providing fairly poor quality crossing conditions. This supports the need to make improvements at the two sites. Finally, this third chart demonstrates the high volume of potential pedestrian activity. The relatively poor crossing conditions coupled with a high potential pedestrian activity further support the need to increase the quality of these intersections for pedestrians to avoid future pedestrian-related accidents at this site. Additionally, any effort made to give Arlandria more of a sense of place is a step in the right direction. Now that we have a little background, let's get to the good stuff. 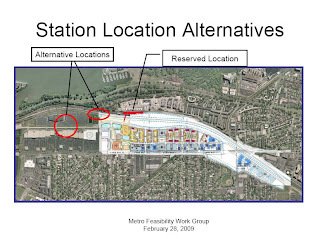 While four alternatives were presented for the W Glebe/Mt. Vernon intersection, only one option was presented in depth. Here is the full presentation. 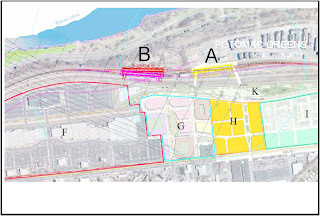 The first three alternatives presented would require significant redevelopment to become possible, as they required the city to acquire additional right of way to carry out. The three throw-aways were 1) a roundabout with an offset approach, 2) a realignment to square-up the intersection, and 3) offsetting Mt. Vernon Ave (see following 3 images from the presentation for clarity). The roundabout option seemed overly complex compared to the one I mocked up in an earlier blog entry, though admittedly, my mocked up design was only loosely based on what roundabout standards I could find in various documents from VDOT and Maryland's DOT. Even my version requires the city to acquire right of way from 2 intersection-adjacent property owners. The fourth option is one that could be done within the existing right-of-way. Right-turn slip-lanes are created for both right turns off of Mt. 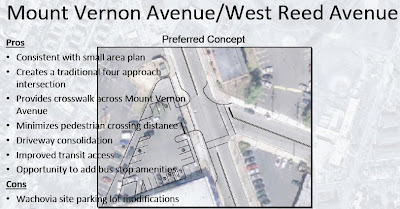 Vernon Ave. Generally that change is considered a setback for pedestrians, but they plan to add additional traffic calming features designed to make the slip-lane feel like a pedestrian oriented space. Finally, the design includes shortening crossing distances by adding a pedestrian island at the northwest and southeast corners that narrow the intersection. The pedestrian island might include certain "gateway" features to make the intersection feel more like an entrance to Arlandria, but what that means remains to be seen. Primary citizen concerns with this intersection alignment were that it is still not pedestrian-oriented enough. Some were concerned about slip-lanes, though it seemed the extra pedestrian features of the slip-lanes allayed their fears. One suggestion was to make the right turn lane on eastbound W Glebe a straight and right-turn lane and to make the other lane a signaled left-turn lane. Staff explained that approximately the same portion of traffic goes right as goes both straight and left combined. Citizens were surprisingly less concerned with the traffic flow issues in favor of making the intersection more pedestrian oriented. 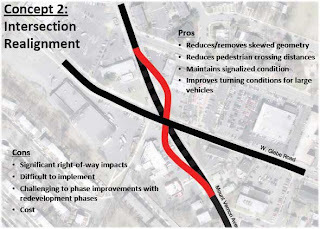 As a worst case scenario, if the City makes the citizen recommended change and it does not work well, the City could cheaply put the lane alignment and signals back as they are shown in the diagram above. Only a single option was presented for Reed/Mt. Vernon. It added bulb-outs to narrow crossing distance and an additional cross-walk, primaritly to get to and from the bus stops. 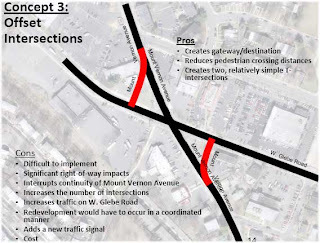 Citizens thought adding a cross-walk both North and South of the intersection would make more sense. At the very least, the cross-walk should be on the north side instead of the south side, where the road will become narrowest. Another big question was about a future plan to extend Reed into the Safeway/Datatel site and connect it to W Glebe Rd, as was suggested by the Arlandria Long Term Action Plan. People asked if all this work would be necessary if that plan goes through. City Staff said the current effort makes that effort more feasible in the future. It consolidates some driveways and makes the entrance to Wachovia better aligned with Reed. If the road were ever extended, it would likely pass through this same curb-cut. Many were concerned about cost. The impression we've been given by the City is that the $500K in Capital Improvement Project (CIP) funds set aside for "Revitalization of Arlandria" have to stretch over several projects. It looks like these intersection changes will take up somewhere in the $200K to $300K range (perhaps a little bit less) of that $500K. Sandra Marks said the project has not been approved yet and the soon to be formed Arlandria Implementation Advisory Group could have a say in prioritization of the project (more on formation of that group very soon). A delay for prioritization could impact the project start date. Attendees were mixed between getting something done ASAP and making sure this is where we want to spend much of the available CIP funding. Other concerns were that if the engineering phase of the project were started today, actual construction would not begin until summer 2010. If we agree to this project, why does it have to take nearly a year to get started? In all, it was a productive meeting, even if we felt we were not really given alternatives to work with. The city is, at least, trying to move forward with one major project in the area. The question still remains why this project was chosen over many others, but perhaps it was just a target of opportunity since changes can be made to the existing right-of-way. The City of Alexandria and Arlington County announced today the opening of The Four Mile Run Pedestrian-Cyclist Professional Bridge Competition and Call for Qualifications. The bridge is planned to connect the trail near South Eads Street in Arlington to the trail near Commonwealth Avenue in Alexandria, as set forth in the Four Mile Run Restoration Master Plan. 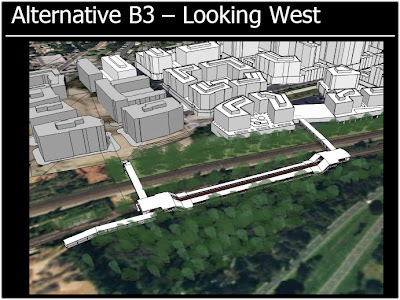 The Master Plan, adopted by Arlington County and the City of Alexandria in 2006, envisions the stream corridor as a location celebrating the diversity and vitality of the surrounding neighborhoods. 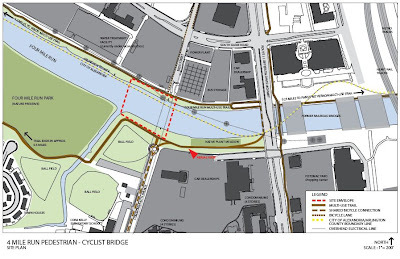 One component of the Master Plan calls for connections between the two communities through a series of new pedestrian-cyclist bridges. This competition marks the beginning of the design process for the first of these bridges. "This pedestrian bridge will be much more than a means to get people across the Run by foot or bike without getting wet. It must be a structure that can function as the keystone in creating a sense of place, uniting two communities that now live separately on each side into a whole with the restored stream as its special and celebrated center," remarked Judy Guse-Noritake, Chair of Alexandria's Park & Recreation Commission and Co-Chair of the Four Mile Run Joint Task Force. The Four Mile Run Pedestrian-Cyclist Bridge Design Competition commences through a Request for Qualifications (RFQ) process published on the Bridge Design Competition website (http://www.4milerun.org). The website includes background, site information, qualifications and submission requirements. Candidates may also submit questions and receive answers through the project website. 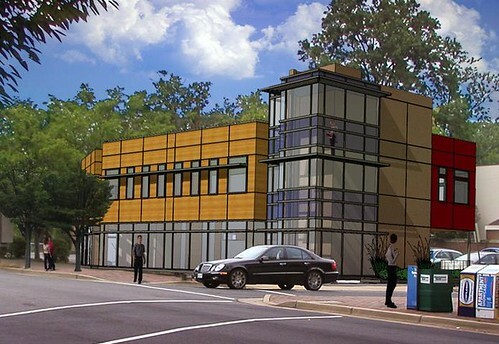 The Northern Virginia Regional Commission is overseeing the competition with technical assistance from the Washington Alexandria Center of the Virginia Tech College of Architecture and Urban Studies. An internationally renowned panel of jurors will recommend the top three qualified design teams. After public presentation by the three finalists, the jury will recommend the winning design team. Virginia Department of Transportation provided a Transportation Enhancement grant to support the design of the Pedestrian-Cyclist Bridge. The bridge is part of a regional effort by local residents; staff from Arlington County, City of Alexandria, the United States Army Corps of Engineers (USACE) and the Northern Virginia Regional Commission (NVRC); and consultants to restore the ecological and environmental features, recreational opportunities, aesthetics, and urban form of lower Four Mile Run. This call for Qualifications will be open until November 30, 2009. 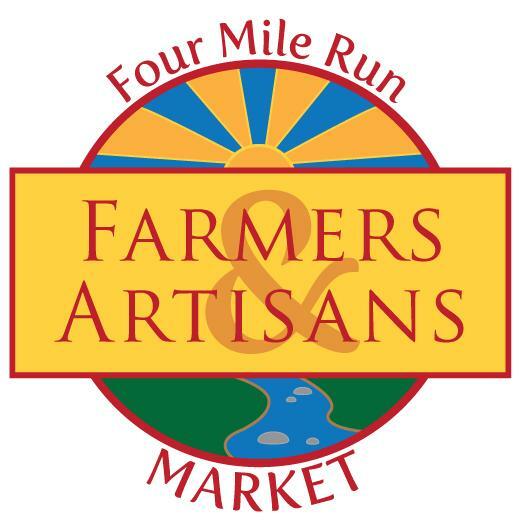 Check the project web site for updates http://www.4milerun.org. This event is great if you're looking to plant some trees at your house or in a public space. The trees available without pre-order range from $18 to $35. Here's the city's press release. A list of trees that should be available are following the press release. "Great Trees, Great Prices, and Great for Alexandria"
The City’s Alexandria’s Urban Forestry Steering Committee (UFSC) and the Department of Recreation, Parks and Cultural Activities will hold a City fall tree sale on Saturday, October 3, from 8 a.m. to 1 pm at Trinity United Methodist Church, 2911 Cameron Mills Rd. The goal of the sale is to promote the preservation of the Alexandria’s tree canopy by encouraging the planting of trees on private property throughout the City. Alexandria Tree Stewards and Master Gardeners will be on site to answer questions about tree selection, planting and care. For additional information, call Jerry Dieruf, Arborist, at 703.746.5498 or e-mail jerry.dieruf@alexandriava.gov. The City of Alexandria is committed to compliance with the City’s Human Rights Code and the Americans with Disabilities Act. To request a reasonable accommodation or to request materials in an alternative format, call Jerry Dieruf, Arborist, at 703.746.5498, (TTY 703.838.4902) or e-mail jerry.dieruf@alexandriava.gov. Pin Oak (3 gallon, $18; 7 gallon $30) – Rapid growing, sturdy oak. Red/burnished brown leaves in the fall. 80 feet. Red Maples (3 gallon, $28) – Red buds in the spring, red leaves in the fall. 75-80 feet. Honey Locust (5 gallon, $30) – Pinnate leaves, white flower clusters in May. 75 feet. Green Giant Arborvitae (3 gallon, $18) – A good upright evergreen screening shrub. Grows 5 -6 feet wide and 50 feet tall. Pink Multi Stem Crape Myrtles (3 gallon, $25) - Smooth, grey-brown bark; clusters of crinkly pink flowers. Good fall color. 15 feet. Red Bud (7 gallon, $35) - Red/purple blossoms in early spring. Does well in shade. 25 feet. Forest Pansy Red Bud (Red Leaf) (7 gallon, $35). Kwanzan Cherry (7 gallon, $35). 15 feet. These trees must be pre-ordered in advance of the sale and must be picked up between 8 a.m. and 10 a.m. on October 3, unless otherwise arranged, or they will be made available for general purchase. To place an order, please call or mail Jerry Dieruf in the office of the City Arborist. Jerry’s phone number is 703-838-4999; his e-mail is Jerry.Dieruf@alexandriava.gov. Red Oak (5 gallon) – A North Ridge classic. Scarlet leaves in the fall. 75-80 feet. Willow Oak (5 gallon) – The stately tree that lines the roads in Fairlington. 80-100 feet. River Birch (10 gallon, $40) – Only native birch at low elevation in southern U.S. 75-80 feet. Hawthorne (10 gallon, $40) – Bright red flowers with red centers. Likes sun. 18-25 feet. Hackberry (10 gallon, $40) – Ovate leaves, dark-red to purple fruit. 30-40 feet.